Let's face facts. Plastic parts weaken overtime and can break. 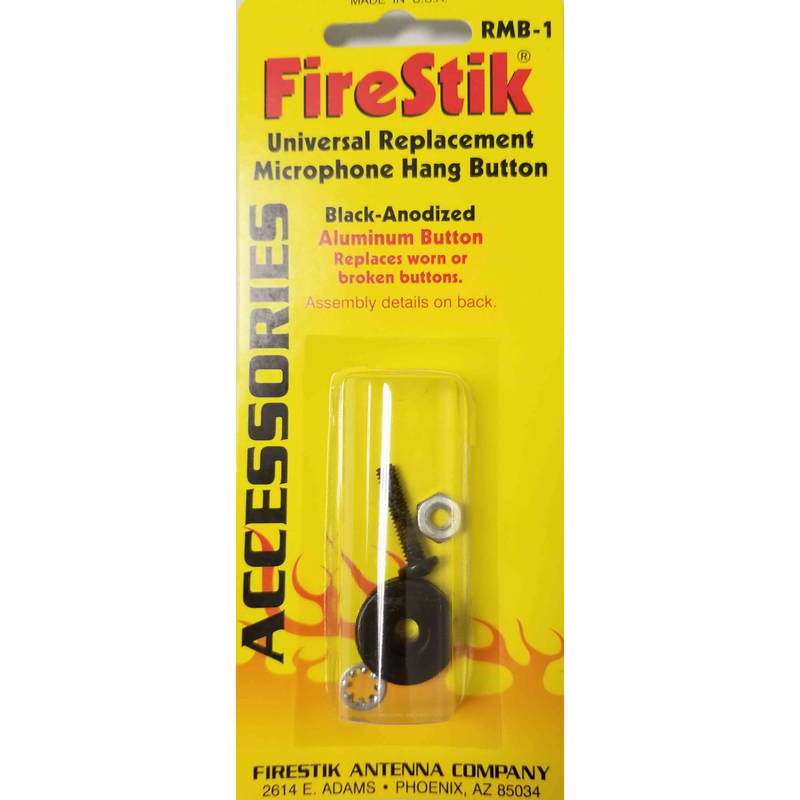 The FireStik RMB1 CB microphone hanger button is built tough. Crafted from aluminum and designed for rugged use, the FireStik RMB1 won't snap under duress. Has your radio microphone been dropped? Are you annoyed with not being able to hang your microphone up? 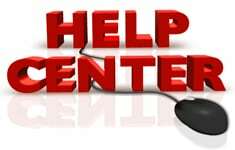 Do you hate fumbling to find the mic, when you could be answering that call on the radio? Don't replace the microphone, replace the mic hanger button. The RMB1 is one well thought out replacement part that fits most radio microphones. For some microphones custom trimming of the attachment screw to the correct length may be required. Sized for a mated fit with common stamped hanger plates it will work seamlessly with many microphone hangers. 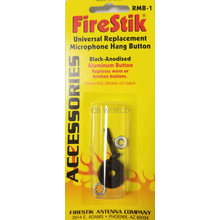 The black anodized coating of the FireStik RMB1 CB microphone hanger button blends well with factory and aftermarket radio mics. A complete solution to the broken microphone hanger button dilemma. The RMB1 from FireStik Antenna Company, one tough part designed not to snap under pressure.